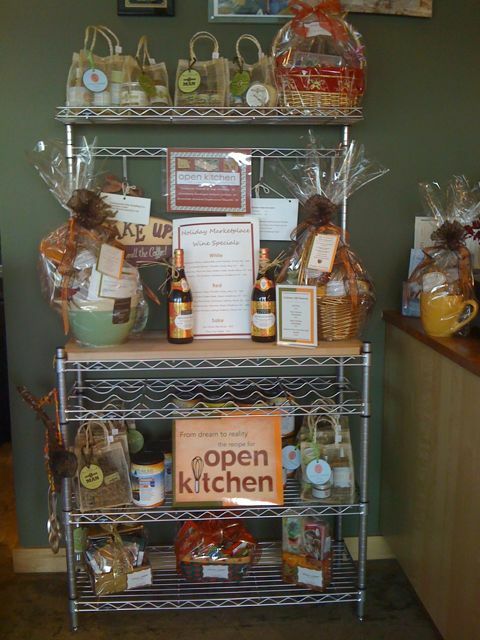 Open Kitchen: Our newest brick and mortar friend! I am always happy to discover new green businesses, and I love good food. So it was a great pleasure to discover Open Kitchen in Falls Church. I met owners Heu-Chan Karels and Holly Camelier at the Falls Church Holiday Craft Show in December. Their table was directly behind mine, and I had an opportunity to try out their focaccia, biscotti and cookies. In speaking with them, I discovered that our companies had similar goals — to create very high quality products, provide excellent service and be as green as possible while doing it (Open Kitchen is a certified Green Restaurant by Virginia Green). After sampling their baked goods, and reading through their sample menu, I knew I had to try their bistro. And when I had the opportunity in January to try several items from the menu created by Chef Bernard, their resident food artist, I was sold. 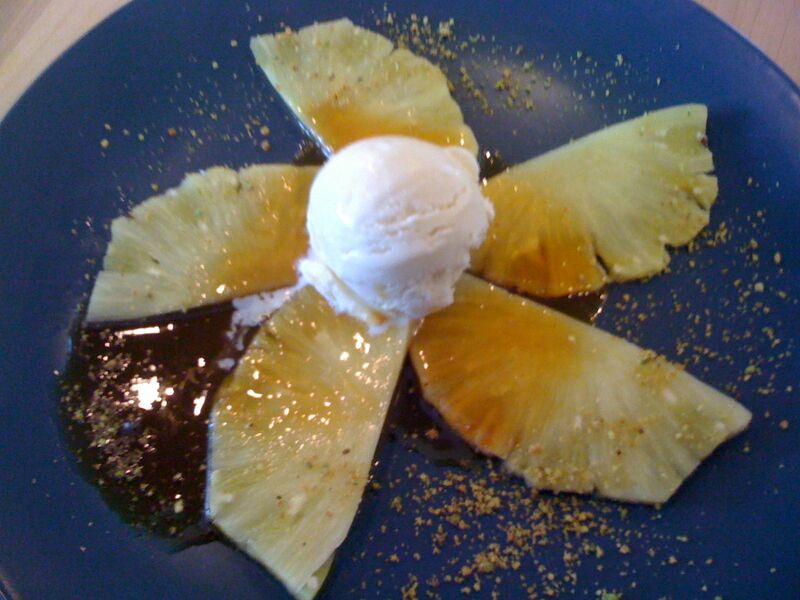 His baked pineapple carpaccio with ginger ice cream is the most exquisite dessert I’ve ever tasted! In addition to the restaurant, Open Kitchen also offers catering services, cooking classes and timeshare kitchen space. I look forward to trying out their cooking classes, and have purchased a gift certificate for my husband to take one of their next men’s cooking classes. They have it all! The front of their space also features a coffee and pastry takeout section, as well as a display with eco-friendly gifts, including Herban Lifestyle gift sets for men, women and babies! This week I have thoroughly enjoyed walking the line between tourist and Parisian! I have finally developed a routine for my school and volunteer work, which I has been fun and fulfilling. However, this week has been especially fun, as I have met some incredible people and was able to do some touristy things in the very enjoyable company of others. We spent Sunday touring the gardens and the chateau in Versailles. Despite being very cold, it was a perfect way to spend the day. 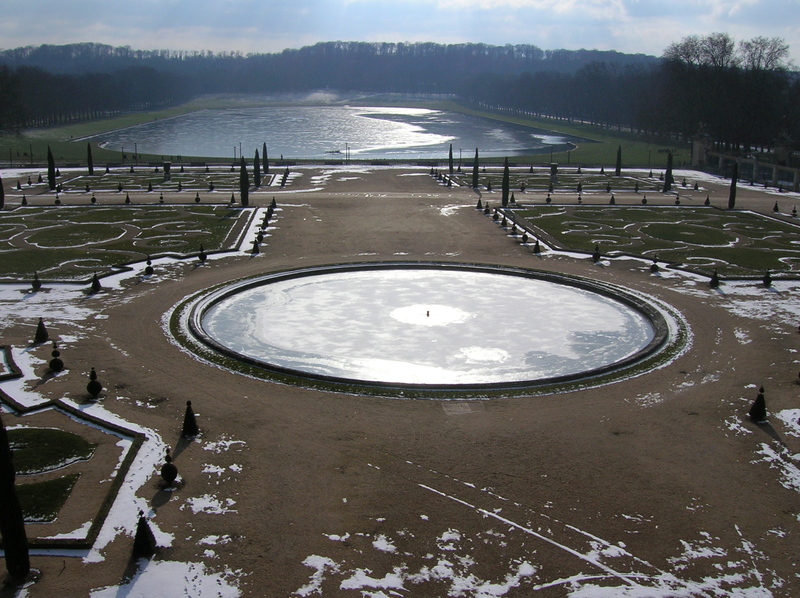 I was informed about the detailed perspective that can be seen throughout the grounds that were all carefully crafted to emphasize the power of Louis XIV after he moved the court from Paris to Versailles. It was also developed in three stages, beginning as a relatively small brick hunting house and eventually transforming into one of the most beautiful places I have ever visited. 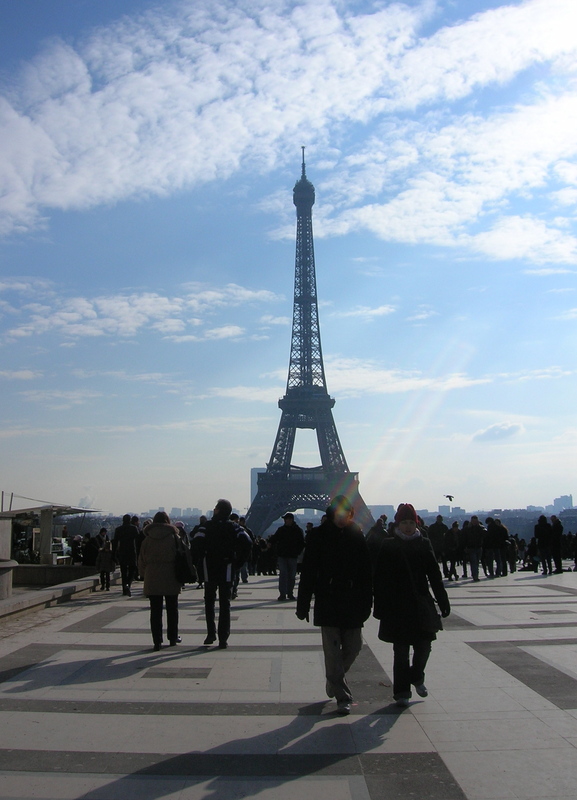 Monday we visited both the highest and the lowest (at least almost the lowest) tourist hotspots in Paris. The sewer system (les égouts – une vision souterraine de Paris!) was developed after a massive flood covered Paris 100 years ago this year. It was smelly and cold and the tour was in French, but I still had a great time! There are a number of old machines that were developed to clear the dirt and to deal with the noxious gasses and they also told stories of finding an alligator and other creatures down there. You definitely need to go with people you can laugh about the dripping ceilings with. Afterwards, we wanted to visit some of the many museums in the Trocadéro area, but unfortunately it was Monday so they were closed. 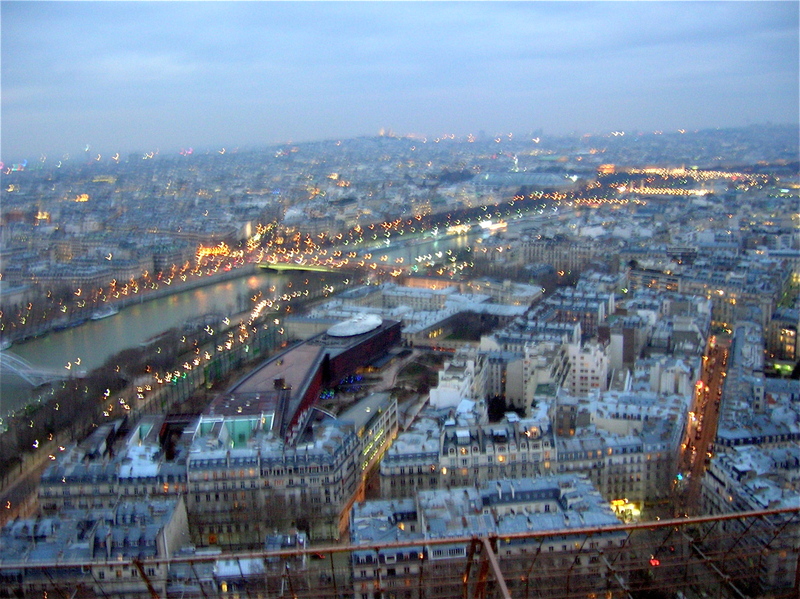 Instead, we had un café and waited until about 6hr to begin our trek to the top of the Eiffel Tower. Since it was a cold Monday, the lines were shorter than normal, but they still were not short. We waited for about a half hour at the bottom to get our tickets then rode to the 2nd floor. There we walked around and enjoyed the sunset over Paris, which was breathtaking. It was very cold there and we waited in line to ride to the top. At the end of our 30-minute ride, we could not feel our extremities, but it was worth it! We actually rode up the middle of the Eiffel Tower as the lights were sparkling to show the hour. While it is more magnificent from the outside, it was still a lovely experience! On top, the view was amazingly beautiful, but we did not spend too much time up there as we were certain we were going to lose our fingers to frostbite. One thing about Paris that I have really enjoyed is the diversity and the constant exposure to different cultures. In my French course alone we have people representing about 8 different nationalities and I have met people outside of school from at least 5 different countries. I really enjoy the proximity to the rest of Europe and even the relative accessibility to Asia and Africa. Despite the unusually cold weather, Paris has continued to dazzle me! The past week’s snow storms have given me and my husband an opportunity to catch up on some films I have wanted to see for a long time. For years, we had both heard of the genius of Akira Kurosawa (as the Bare Naked Ladies say, “Like Kurosawa, I make mad films. Okay, I don’t make films, but if I did they’d have a samurai”) and we finally had a chance to see for ourselves. Over the past 10 days, we have watched Seven Samurai, Sanjuro, Yojimbo and Rashomon — all brilliantly written and acted, and beautifully filmed. His works definitely live up to the praise that I have heard all my life. My husband and I are now official Kurosawa fans. One theme that I noticed flows through all four movies, is the eating of white rice. It was considered of great value to the characters, who lived in 11th to 16th century Japan. In Seven Samurai, people are presented with onigiri, or rice balls. And this got me thinking about a project I had wanted to undertake for some time. 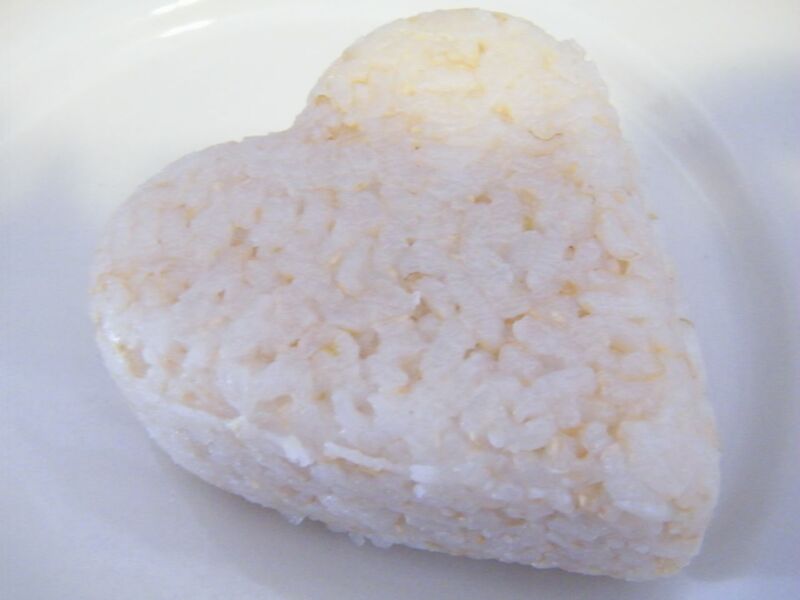 Given that it was Valentine’s Day, I was inspired to try making heart-shaped onigiri! A couple of months ago, I noticed a small Japanese market on U Street. Even though Hana Japanese Market has apparently been there for over a year, I had driven past it many times before I discovered it. I was thrilled. As far as I know, there are no other Japanese markets in DC. There are plenty of Asian markets in the DC area, but they don’t carry some specialty items that I used to easily find in stores in Daido Market in White Plains, NY and Fuji Mart in Greenwich, CT. 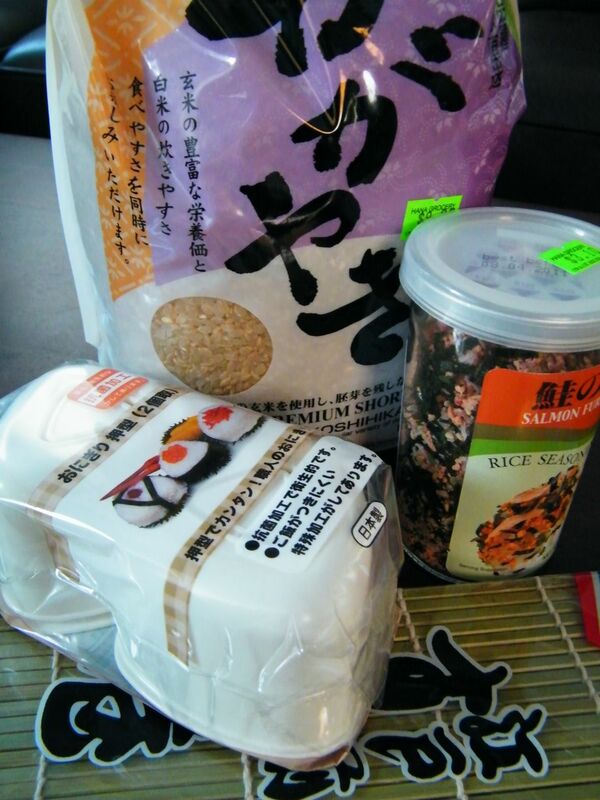 While shopping at Hana Market, I picked up some supplies to make onigiri, with the idea that I would try my hand at making these simple, delicious rice balls. 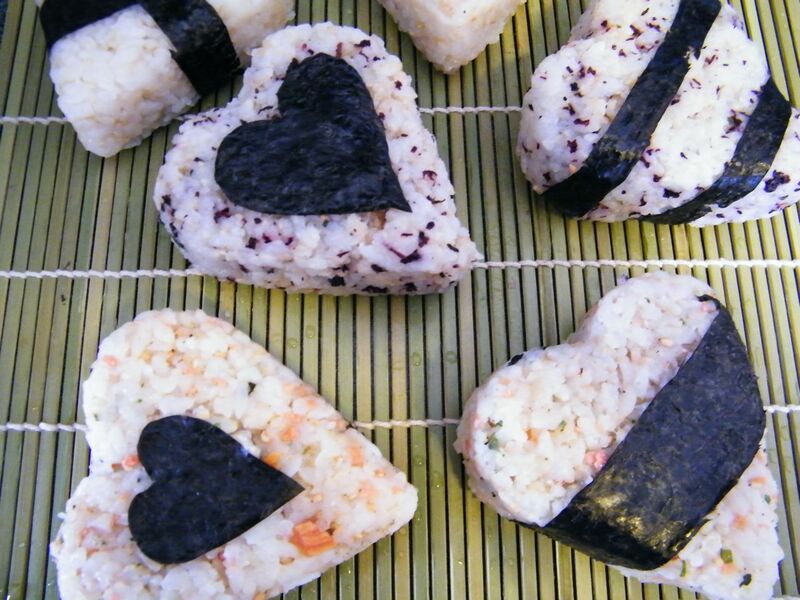 This included short-grain brown sushi rice, large flat sheets of nori (dried seaweed), furikake (in this case, a dried mixture of sesame seeds, shredded nori and salmon), as well as a set of onigiri molds. I started by cooking the rice according to the package directions. 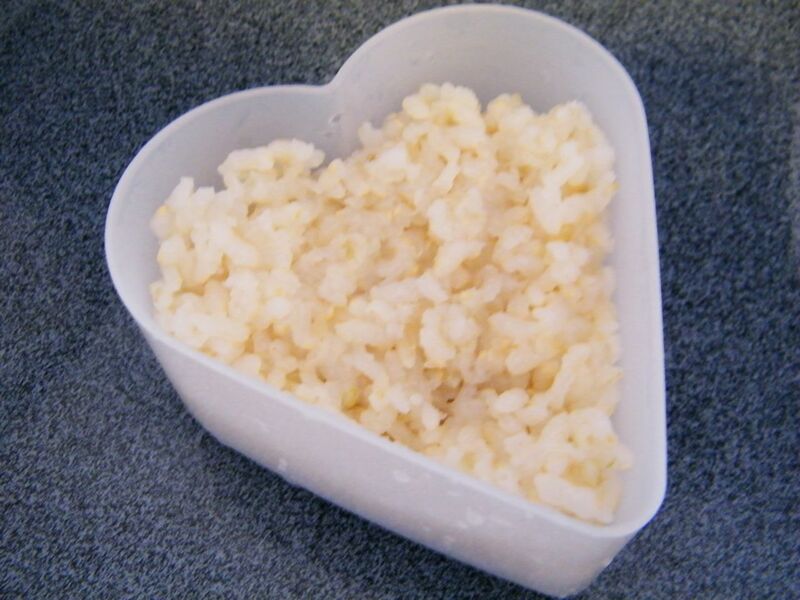 It came out perfectly, with enough stickiness that the rice would hold together, without being too gummy. 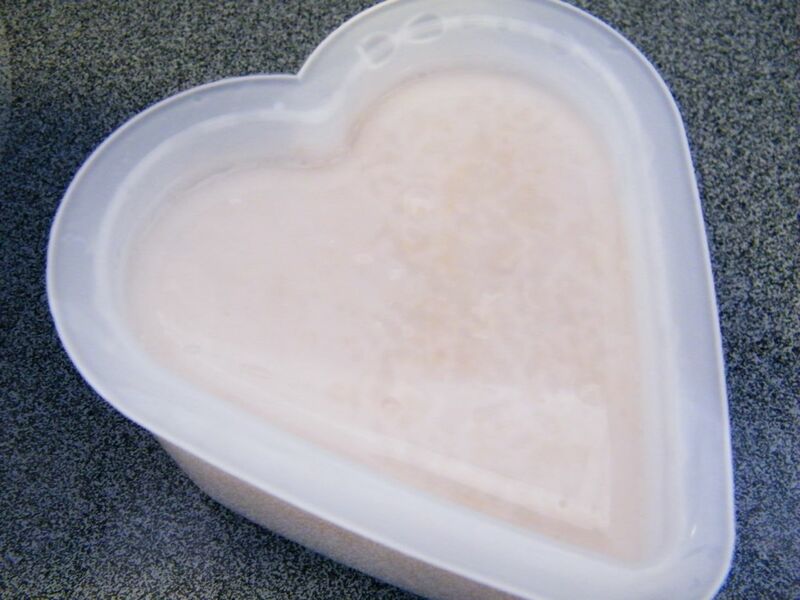 I then pressed enough rice into a wetted heart-shaped mold to fill it half-way deep (it’s important to wet the mold each time to keep the rice from sticking to it). This is actually a mold that I bought at Daido the last time I was in White Plains, but had never used — Valentine’s Day seemed like a good occasion to break it in. 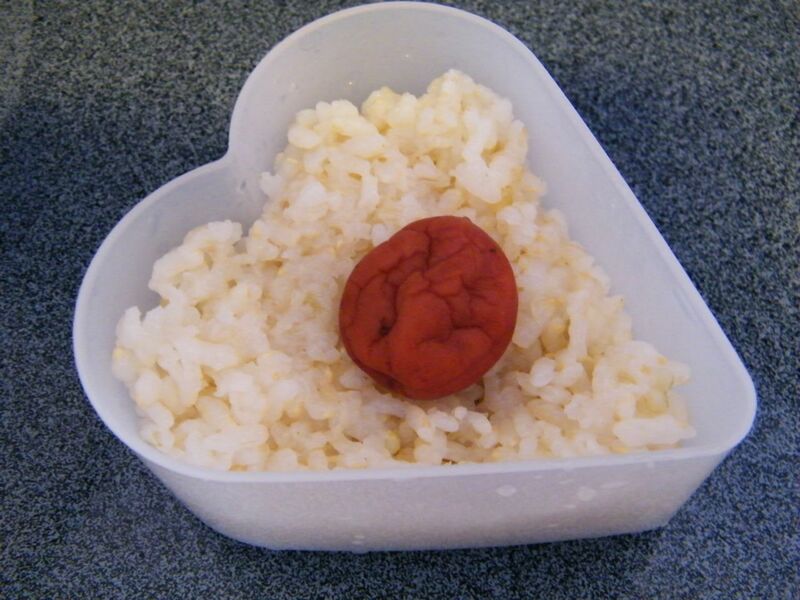 I placed an umeboshi (salty pickled plum) in the center. Then added more rice to fill up to the top of the mold. Then I placed the top of the mold over the rice, and pressed down to compact it. I then took off the top of the mold, flipped it over, and pressed on the bottom to release the onigiri. 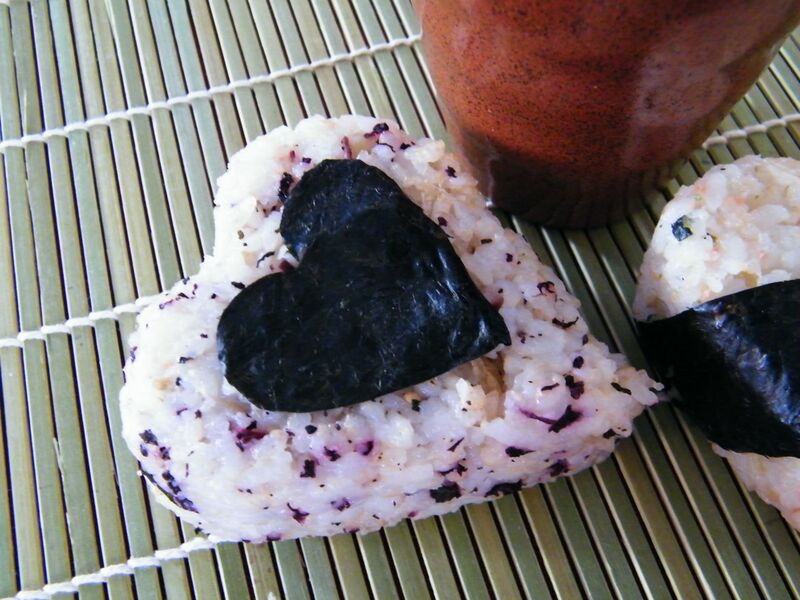 I then decorated it with a band of nori for visual interest! It was so easy, and so fun, I tried some different variations. 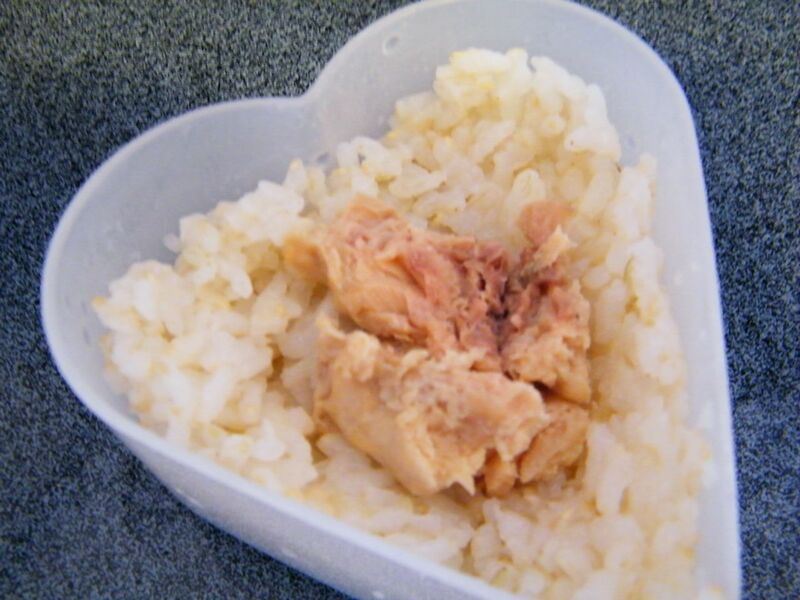 This one has a small amount of cooked salmon. 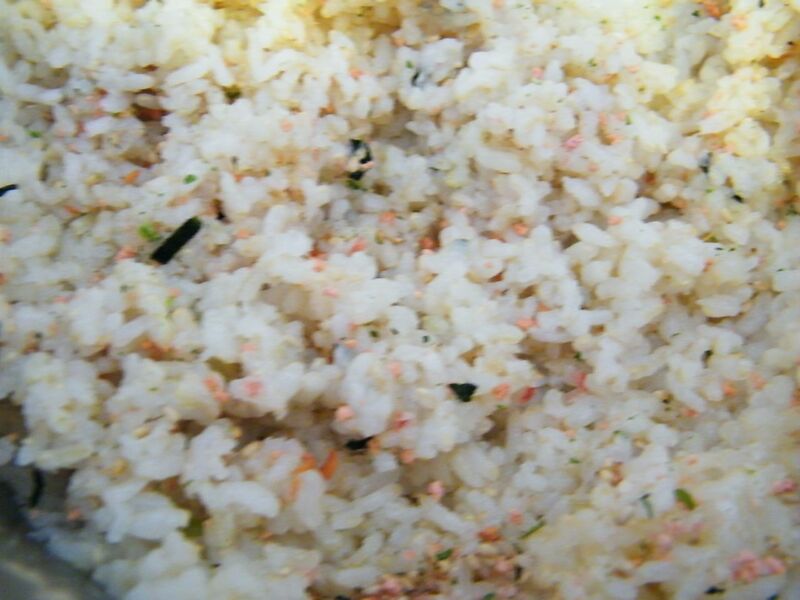 And I also mixed some furikake into the remaining rice to make it look more festive. 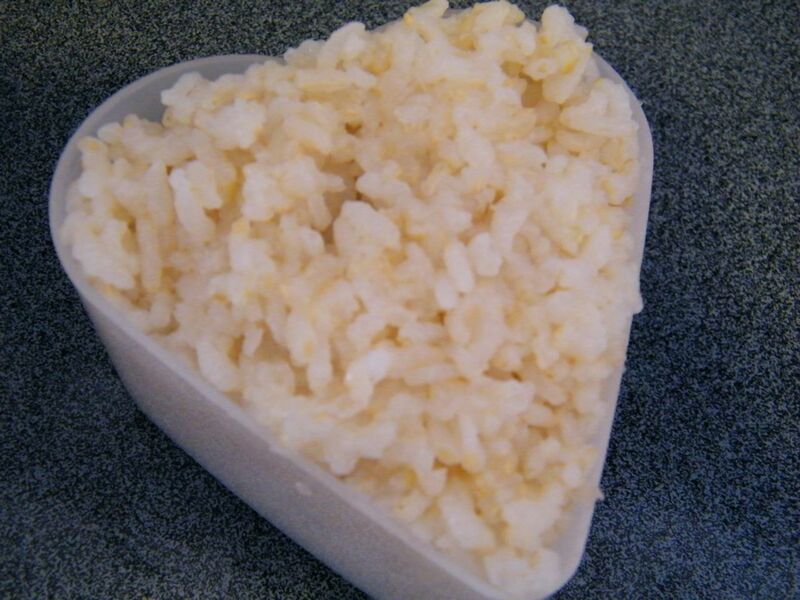 This also adds some interesting flavor and texture to the plain rice. 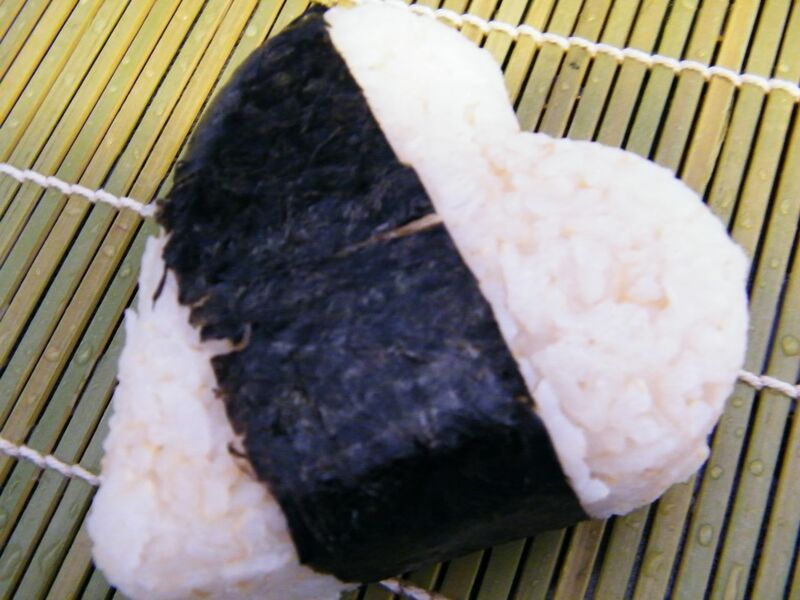 Here is the final variety of onigiri! It was super easy, and fun, to make these cute and healthy Valentine’s Day treats. Herban Lifestyle’s Etsy Store Featured on NBC New York! 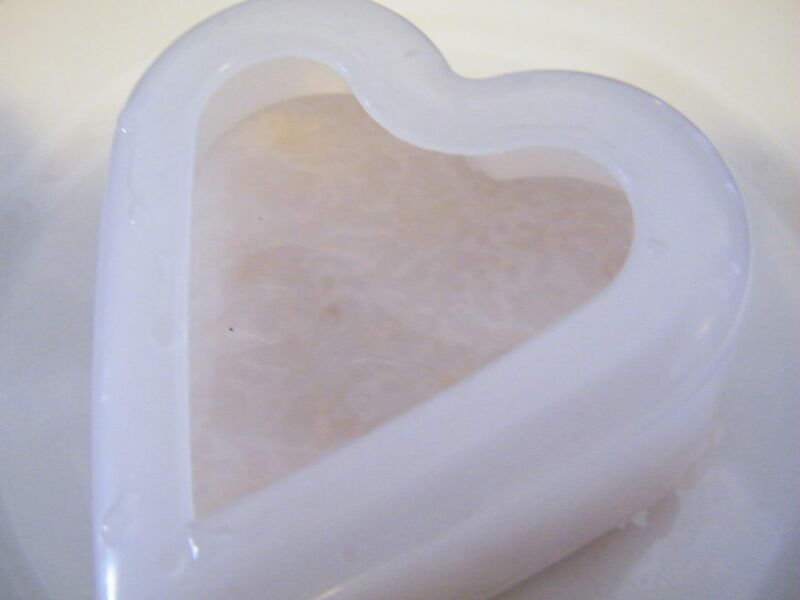 Recently, Herban Lifestyle was honored to be part of the Etsy Valentine’s Day gift recommendations on NBC New York’s LX.TV. In their segment entitled “With Love from Etsy,” Herban Lifestyle Man’s Grooming Set was one of 6 items to be featured. You can view the full segment, which has some fun Valentine’s Day gift suggestions, by visiting the NBC New York website. Thank you Etsy! And thanks to LX.TV, too! The following post was written by blogger Kia Guarino. Chaque mois le premier dimanche, tous les musées à Paris sont gratuits! So, recently I went to The Musée de Louvre and The Musée D’Orsay and took advantage of this amazing offer. 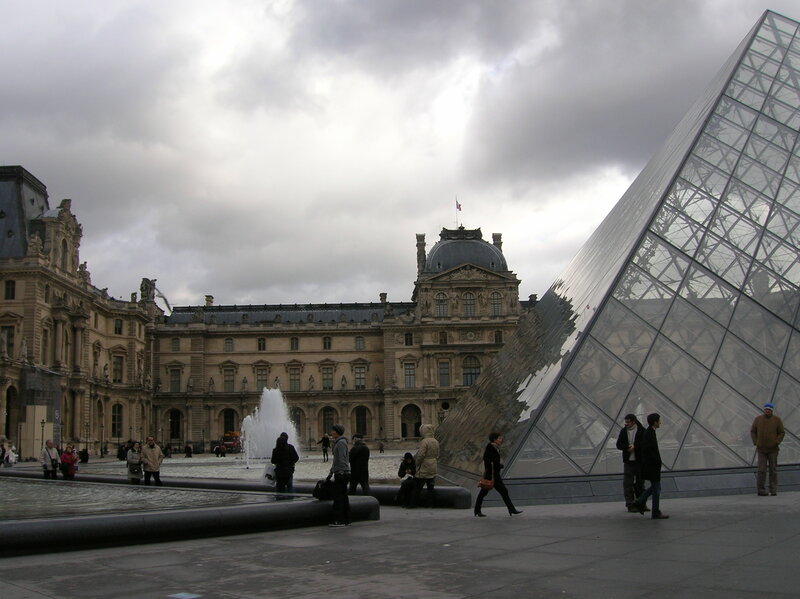 I love the Louvre – it houses some of my favorite paintings and statues in the world! One thing that really strikes me as interesting is the fact that, not only does it house many of my favorite paintings, but the windows act as artwork in and of themselves. There are one or two windows near the French painters that have the most incredible views. At one point, I was able to look out and see I. M. Pei’s Louvre pyramid, the courtyard with the Eiffel Tower, and the Arc de Triumph in the distance. I had never been to Musée D’Orsay before and despite a lot of construction work going on, it was amazing to see Monet and Van Gogh’s work up close. The crowds were definitely a little less bearable than the Louvre since Musée D’Orsay is a smaller museum. But again, it was still worth going since it was free! For those two museums, the lines were not terrible since I was out early in the day. But as the day wore on, all the other museums that I passed had lines that wrapped around the buildings. I definitely recommend getting an early start. This was especially the case with Louvre, since it was extremely crowded around the Mona Lisa (it looked like rush hour downtown NYC!). There were some areas, though, that were pleasantly filled, including the French Renaissance painters, which I loved. It was a perfect day for museums, especially for some of the best in the world!! After coming across a fun website with detailed instructions yesterday, we decided to use old wool sweaters to make boots! 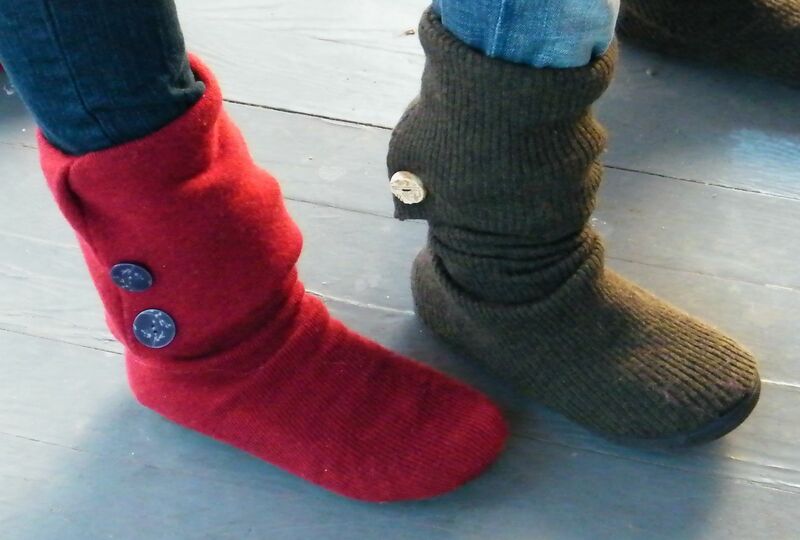 The slouchy sweater material boot is in style – UGG® makes a few cute designs. However, my budget currently doesn’t allow for purchases in that price range, so we decided to make our own following the directions provided by Urban Threads. The Urban Threads site is mostly focused on embroidery and the boots she made had an adorable embroidered emblem. However, given our inexperience and impatience with sewing machines, we decided to skip that part and just add buttons for embellishment. We started out by going to Target and picking out cheap flats (mine were a large kids’ shoe) and then to Michaels craft store to pick up a little glue gun. All in all, it cost a total of about $14: $6 for the wool sweater (found at Goodwill),$3 for the pair of flats, $2 for buttons (which we had on hand from a past visit to The Button Emporium in Portland, OR), and $3 for the glue gun. I picked out a cranberry red wool sweater and my mom chose a dark gray ribbed sweater. Following the directions, we made it pretty seamlessly through the first part. There was a little glue showing on the rubber soles and my sewing was a little lumpy, but overall nothing too horrible. We did have trouble figuring out the last step when the cuff has to be attached, but after a few snafus, we were able to figure that out as well! In the end, after about 3 hours of manual labor and some trial and error, we produced our very own wool boots!! The cost was much lower than the department store versions, plus they are custom fit!! Since we are both petite, this was a huge bonus. I definitely recommend trying this out, even if you aren’t skilled at sewing, especially if you have an old sweater and pair of flats that you’d like to repurpose!